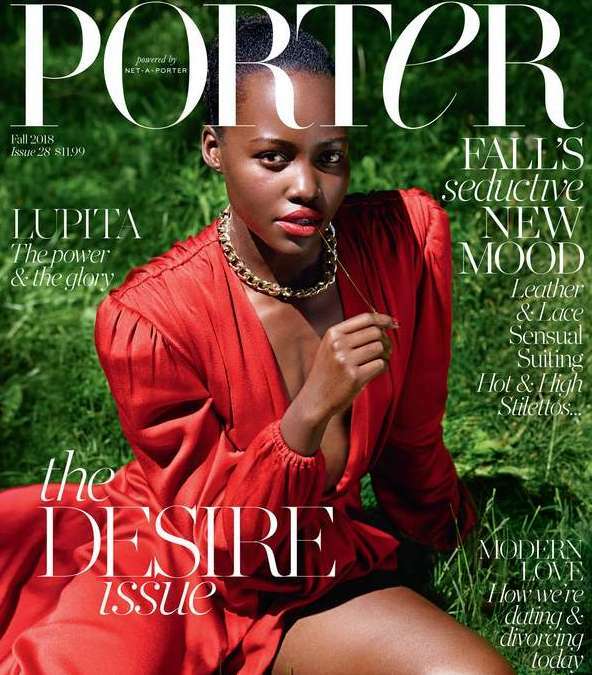 The actress Lupita Nyong’o stuns in red on the cover of Porter magazine’s Desire issue. Lupita says she wants to set the beauty standards right and drive change in Hollywood. The Desire issues also talks about empowering women with fashion force (Donatella Versace), love tales with Arizona muse and what to expect when you decide to marry Laura Wasser (Hollywood’s most in-demand divorce lawyer). Below are some pictures of the shoot.